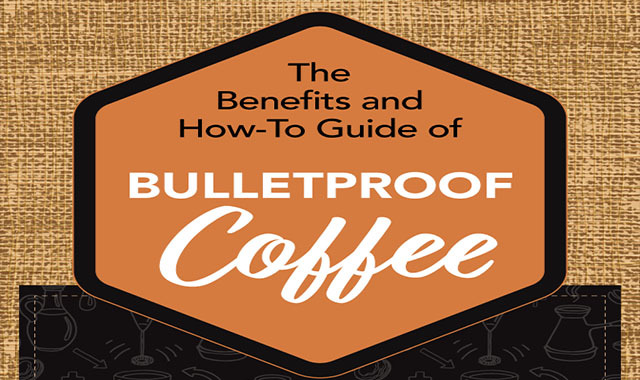 The Benefits and How-To Guide of Bulletproof Coffee #infographic ~ Visualistan '+g+"
For millions of individuals, coffee is a signal to start the day, a prod to get one foot out the door, and a 12-ounce cup o’ warmth which just makes the world a better place. But coffee is not just a way to wake up any more. It is a complex combination of strength, brainpower, and “get up and go.” That is, if you are in the habit of “Bulletproofing” your mug of java. If you have not heard of Bulletproof coffee, you are missing out on a bio-hacking opportunity which reportedly, in addition to several other health benefits, can make your brain work smarter and faster.